H&M stays on the circular track with its new sustainable sportswear! Workout-induced Adrenaline, sweat & burn is an exquisite feeling (and a redeeming one when you can feel those guilty-calories burning away!). Be it sports, yoga, running or zumba, each one of us women dreams of the involuntary two second happy dance for achieving a healthier and fitter self. Add to that, the social media spillage of gym/workout selfies in stylish gym wear, our inspiration to get the right fitness gear is higher than getting the perfect body :) Now, for all you conscious urbans, who want to get the look without compromising on your green standards, we are happy to help on the sustainable sportswear front! We have already hunted some options of ecofriendly sneakers, eco water bottles, sustainable sportswear and outerwear options. 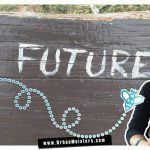 UrbanMeisters founder, Mirela Orlovic also did a special green living series on how to train for a fitter you & planet. Adding to your list of sustainable sportswear brand options, here’s a new one – H&M! Yes! Let’s warm up first…why sustainable sportswear? Fashion industry is the second most polluting in the world is no news by now. With the rise of the athleisure trend in last few years, the lines between fashion & functional clothing is blurred. While conventional sportswear brands are upping the style quotient of their product lines, non-performance wear brands like Zara, H&M are all scampering to offer activewear and increase the offerings under this vertical. With increased popularity, and being textile too, functional clothing creates a heavy impact because of its extensive use of chemical-based synthetic textiles such as polyesters, nylon and spandex as opposed to natural fibers. Now if you dig through your fitness clothing labels, you will find that it’s largely made of polyesters, nylons, spandex etc. While natural fibers come from renewable resources, chemical fibers, like polyester and nylon, are made from crude oil. Semi-synthetic fibers, like rayon or modal, are produced by a chemical process, but use a natural raw material source like wood chips from trees (and therefore often marketed as eco-friendly). Example: Bamboo – highly sustainable but produced using heavy chemicals that can get deposited untreated into local water systems. Fashion and function, hand in hand, without sustainability is a faux-pas in the long run. Sportswear is an important subset of regular clothing. A liberating, seemingly harmless workout actually requires a much more eco conscious effort in the clothing we choose for it, given the amount of contribution it makes in polluting the earth. An ethically charged promise involves bringing change in the fashion industry throughout the supply chain, one mindful move at a time. Most of the go-to active wear brands like Nike, Puma and Adidas, have pulled up their socks when it comes to their responsibility of going green. From the Nike primeknit technology that helps cut-down on wastage when making sneakers, to waterless dyeing by Adidas, to Under Armour using recycled polyester (made primarily from recycled PET bottles) brands are making an effort to sprint in the green lane. 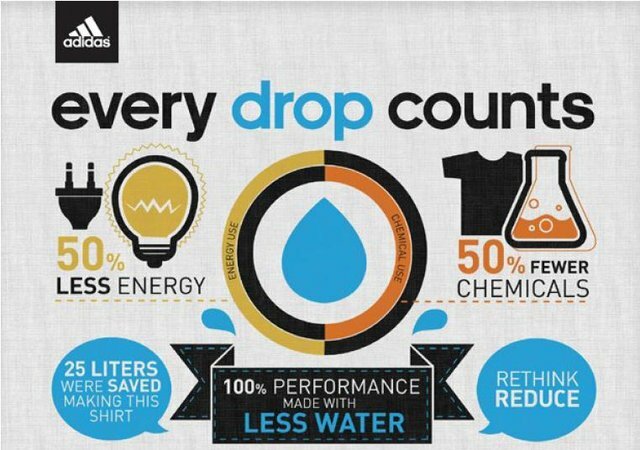 Adidas announced a roadmap outlining sustainability action plan to go green by 2020. Since then, they have begun water-less dyeing to end the use of water and process chemicals as well as produced a full running line featuring t-shirts, tanks, tights, skirts and shorts with 95% pattern efficiency (only 5% waste). They recently also announced a swimwear line made from recycled ocean trash. Patagonia is immersed in the Green vision with their mission statement being “Build the best product, cause no unnecessary harm, use business to inspire and implement solutions to the environmental crisis”. 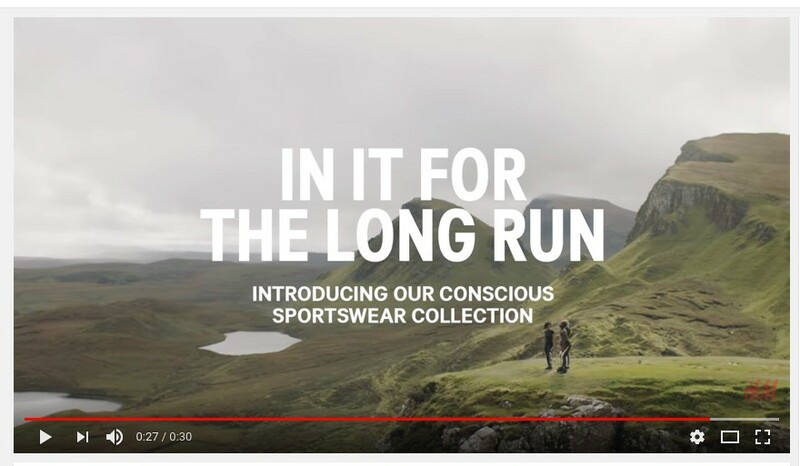 Their range of running gear and fabrics are FairTrade & Bluesign certified and each product clearly mentions the fabric composition & the supplier list. 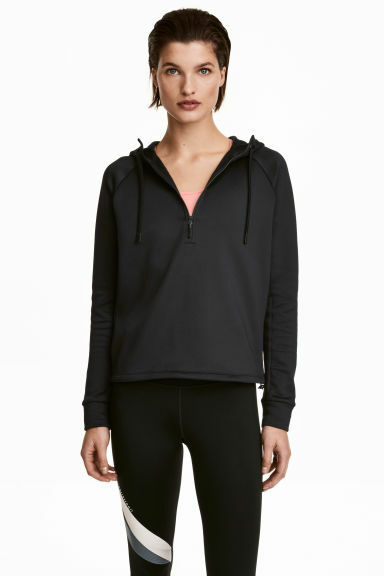 So let’s see where does H&M’s activewear sit. 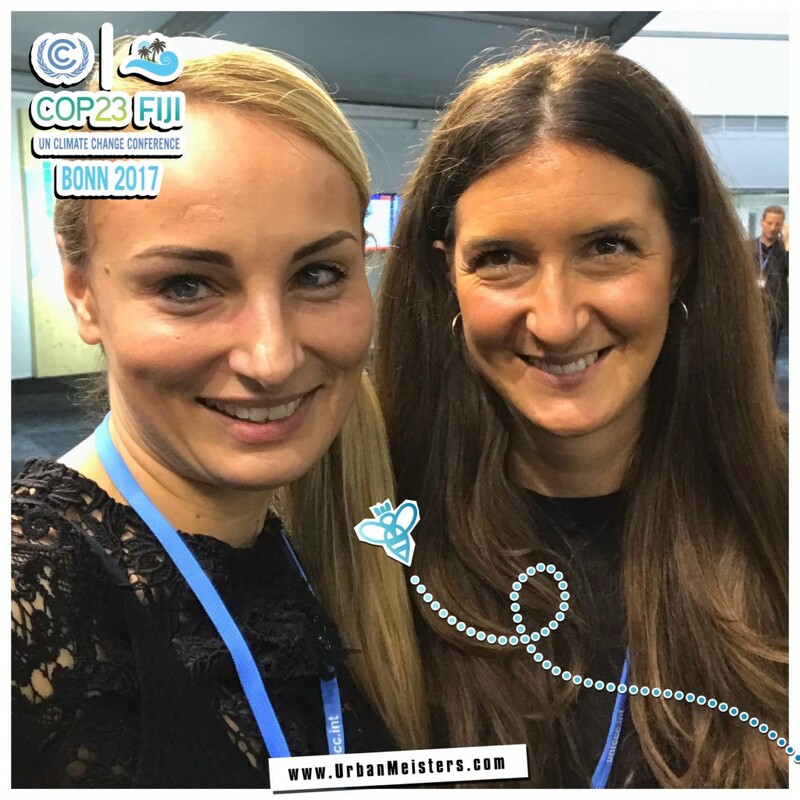 At the November 2017 COP23 conference in Germany, Vanessa Rotschild, a representative from H&M, gave an idea of H&M’s global presence – with 8 brands, over 4,500 physical stores globally and over 1,800 first tiers suppliers which emphasize their awareness of the need for change as well as the difficult task in achieving it, given the level of complexity of the supply chain. In order to keep up with the demands of the fast consumption pattern of its customers, they pitch in for the circular economy model. The current industrial standard is linear “take, make and dispose”. The circular model adopts restoring and regenerating, thus bringing the loop to a close. Products now do not have a timeline to their lifecycle, curb waste and instead can even add value to our ecosystem. The idea came to the limelight with the work of the Ellen MacArthur Foundation. The aim was to create a low cost recycling system, better and higher value product reuse and higher valued uses of recyclables (including for fibre, plastic, batteries, metals, glass, e-waste and energy). This material does not demand any compromise in quality due its high performance and light weight. H&M entered into a partnership with the foundation and according to their latest report, they can blend in about 20% of such fibres, aiming to go closer to 100%. At their product design level, these steps are H&M’s focus in bringing this model to fruition. 3.Investing in prolonging the product life span. 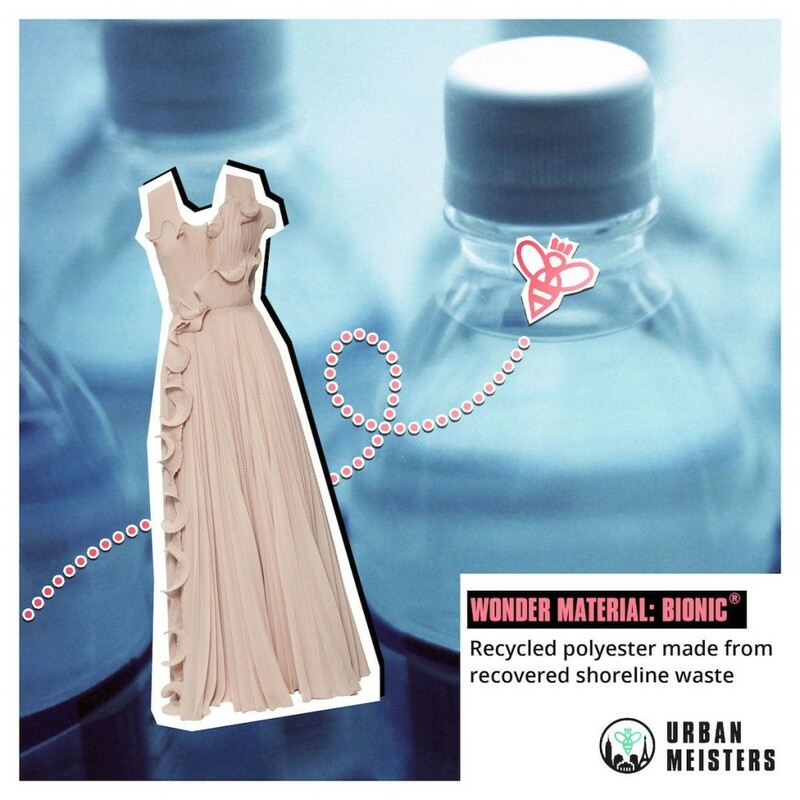 In April last year, the Swedish retailer launched its 6th Conscious Exclusive collection, which includes a full clothing collection for men, women and kids, and made from H&M’s pioneering ‘Bionic’ material – a recycled polyester made from plastic shoreline waste. The Swedish multinational has also developed a Conscious Exclusive fragrance made from organic oils. With their ambition to becoming 100% circular in closing the loop to textiles by reusing or recycling the old and unwanted and to convert all their items into more sustainable and recycled materials by 2030, H&M is striving to achieve its goal as they are integrating their customers into a conscious loop too by providing discount vouchers for bringing in old clothes for discarding all year round. From marketing initiatives like “World Recycle Week” and developing of sustainable, circular stores to its innovation in using sustainable materials that have a reduced carbon footprint, they have been relatively successful in making a mark towards an ethical future for both the fashion industry and the consumers. H&M -what’s next in store? In the past, we have examined their Conscious collection. 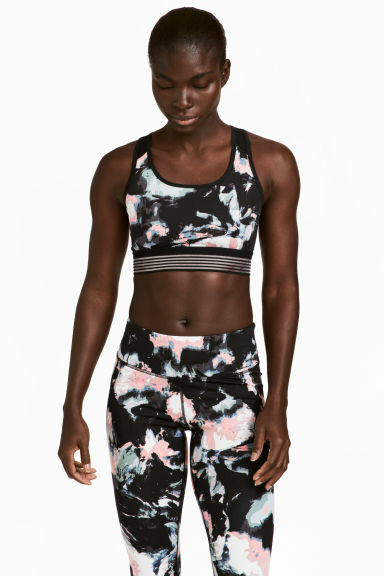 Now, inspired by nature and strong women, H&M has released its latest conscious active wear collection for women, fusing sustainability with both fashion and function. 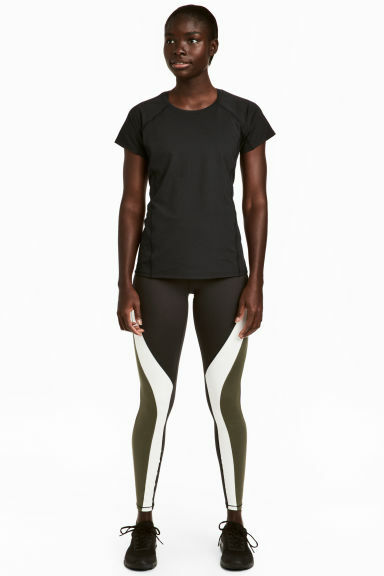 The capsule of 15 products – tights, sports bras, hoodies and tops – comes in a colour palette of green, black and beige and is predominantly made using recycled polyester and elastane. All screams its theme “In it for the long run”. Ranging between 9,99 eur -24,99 eur, the functional aspect is covered with seamless and quick-drying details, built-in support and holes for ventilation. Blurring the lines between strictly sportswear and chic fashion, this collection boasts fresh designs, figure-flattering silhouettes and fashion-forward contrast paneling in a versatile range of tights, sports bras, hoodies and tops for training, running and yoga. No fashionista will be disappointed with its geometric paneling and fun prints. View & shop the collection here. Their pro earth commitment shines even in the transformation made in the design technique. “By bringing together the functional and feminine, the aim is to give customers a stylish, conscious sports collection. And not just through the fabrics – we utilized a new knitting technique that creates seamless garments while using less yarn or fabric waste. Blending function with sustainable thinking and fashion in this way is the way forward,” says Petra Smeds, the Head Designer of Sportswear for H&M. Why be creative, modify and embellish when you can just buy new clothes which are readily available at a cheap price. This quick consumption attitude ignores the poor quality as well as the tragedy that follows after, which includes tremendous pressure on factory workers and gigantic proportions of clothes chucked out in landfills. Around 140m worth of used clothing goes to landfill in the UK every year, which is roughly 30% of our discarded old wardrobe. In fast fashion giants like H&M and Zara, new pieces are in store each week to meet the demands of a quick consuming customer. But remember, SLOWER IS GREENER. Reuse and recycling is the way to go. However H&M seems committed to its sustainability goals. While a lot of green influencers watch the brand closely and aren’t convinced, we do feel every small efforts can have significant impact with a brand like H&M which has such a global reach. Recently they have also been nominated as a finalist in world’s premier circular economy awards the winner of which will be announced at the World Economic Group’s annual meeting in Davos. These eco conscious brands have got you covered for the time when you need to discard the old and bring in the new. 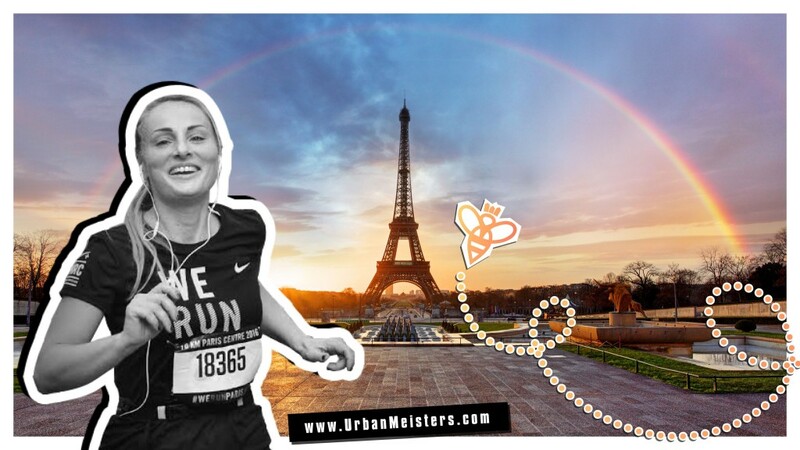 Bring in some change to your fitness program with our founder & serial marathon runner Mirela’s green living tips compiled especially for us urbans. H&M Conscious 2017 uses Ocean trash! Are we buzzing & buying? [GREEN ATTITUDE] Expert tips to stay committed to a green lifestyle!